​Borussia Dortmund have completed the signing of Paco Alcacer from Barcelona on a permanent deal following a successful loan spell at Signal Iduna Park. Dortmund signed Alcacer on loan from the Spanish champions during the summer, with an option to make the move permanent for a fixed fee. After Alcacer scored eight goals in six Bundesliga appearances, it was an easy decision to activate that option, with the 25-year-old signing a contract until 2023. “Paco is wholeheartedly with us, he has quickly integrated and has become an integral part of our squad,” Dortmund’s sporting director Michael Zorc told the club’s ​official website. Alcacer expressed his delight at having made the next step in his career. 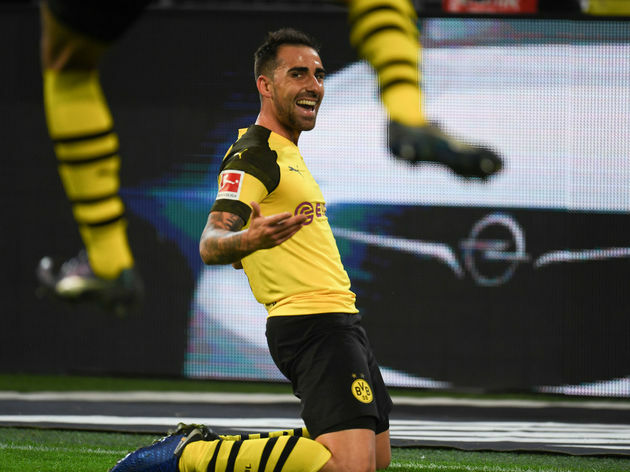 Alcacer’s eight Bundesliga goals have come in just 235 minutes of action, meaning that he has scored at an average of one goal every 29 minutes. His form has also earned him a recall to the Spain squad for his first international action since 2016. His excellent form continued with two goals in a friendly against Wales and one against England in the Nations League.